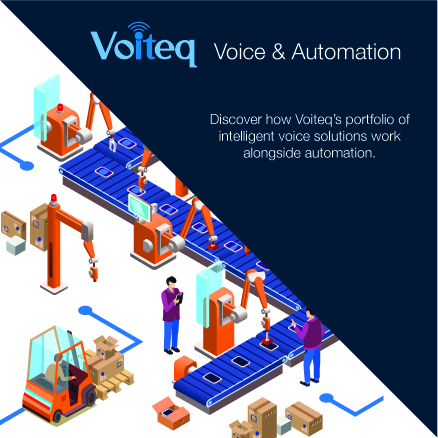 Discover how Voiteq’s portfolio of intelligent voice solutions work alongside automation. 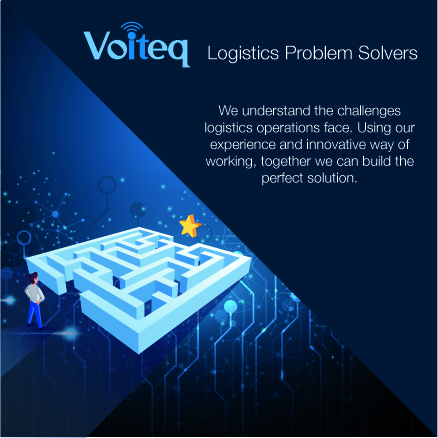 We understand the challenges logistics operations face. Using our experience and innovative way of working, together we can build the perfect solution. Voiteq is a leading global supplier of voice-directed work solutions with offices in the UK, France, Germany and the USA. Voice is our core business and we’ve helped our customers reap the substantial benefits of hands-free, eyes-free work for over 15 years. By providing a more streamlined and ergonomic process that guides and validates operator activity, voice systems enjoy high user acceptance while also delivering improved productivity, accuracy, customer service and bottom-line savings. Ensuring the correct orders are marshalled and loaded onto the correct vehicle at the correct time completes the optimised warehouse operation. Our VoiceMan Dispatch module coordinates and tracks the marshalling and loading of orders onto vehicles. The process can be user-directed or based on a loading plan provided by the WMS or Transportation Management System. Additional data such as vehicle details and loading temperatures can be captured. Real-time updates ensure that invoicing and delivery paperwork can be produced as soon as loading in complete, reducing the turn-around time of vehicles at the dock door. Find out more about VoiceMan Loading. VoiceMan Returns efficiently and accurately directs – through the process of receipting returned goods and gets them back into your inventory as quickly as possible. Speeding up this process and ensuring that goods are correctly categorised can increase your profit margins, improve customer service levels and provide actionable insights into suppliers and customer behaviour. As online sales have grown and customer choice has broadened, so too have returns volumes. Some enterprises experience return rates in excess of 30%, meaning that warehouses need to deploy more staff in this area. VoiceMan Warehouse Execution System is a robust and scalable solution that integrates seamlessly with warehouse management or inventory control systems to extend their capabilities and bring visibility, accuracy and productivity to shop-floor operations. Deployed internationally in supply chains ranging from single warehouses to networks of over 20 distribution centres, VoiceMan optimises business processes, simplifies workload management and provides real-time visibility to supervisors and managers. VoiceMan Data Analysis records the detail of every event and process, but the true value of this data comes when it is distilled to help make better decisions. VoiceMan Data Analysis uses the very latest business intelligence technologies to convert this raw data into actionable insights, for managers, staff and other parts of the business in an easy to understand format. VoiceMan Screen-to-Voice connector quickly and easily adds voice capabilities to your existing screen-based shop-floor processes. With minimal IT overhead, you can now rapidly gain the benefits of a quality voice operation, such as increased accuracy and productivity, reduced training time and improved operator comfort and safety. VoiceMan Connect gives customers a flexible and high performance – standards-based – interface into their WMS or ERP environment, enabling efficient handling of warehouse processes as well as ensuring real-time visibility and traceability. VoiceMan Connect can integrate any shop floor technology, such as voice, scales or fixed scanners, with any host system. It’s highly flexible architecture provides a future-proof platform that can easily be extended or adapted to changing business requirements. VoiceMan Picking is the market-leading voice application for selecting goods within a busy warehouse – ensuring accurate order fulfilment, high productivity and efficient use of staff. Fully featured and a core component of the VoiceMan Warehouse Execution System, our Picking module is highly adaptable to any warehouse situation. By combining intelligent workload management with ergonomic voice-directed shop floor processes, VoiceMan Picking delivers compelling cost savings and customer service improvements.